The house across the street from James and Virginia (Kidd) Blish. API Photo, taken August 19th, 1955. The bridge below is hidden behind the trees in the background. Hurricane Dianne was not kind to James and Virginia (Kidd) Blish. 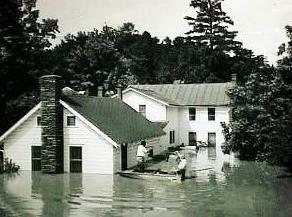 The remains of the once-hurricane swept up the east coast of the United States, ultimately dropping enough rain to raise the level of the Delaware River about 30 feet along the section of the river that lay adjacent to Milford, Pennsylvania. This was sufficient to drown the basement and first floor of their new home. 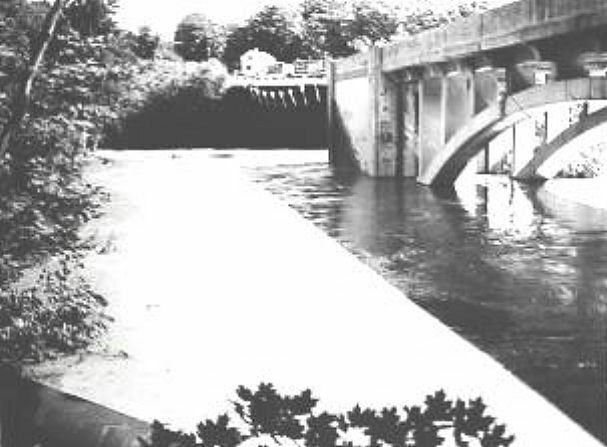 Across the street, behind the Metz's mill, the river, backing up the Sawkill creek's channel, surged up and sundered the footings of the bridge where Route 209 entered Milford from the South. You can easily see the guard railings of the highway sagging down at the far end of the bridge after having their support eroded. Milford is marked with a red cross. The Delaware river, which was responsible for the flooding of the Blish's home, traces the eastern border of Pennsylvania. If you look, you'll see the blue line - that's the Delaware. 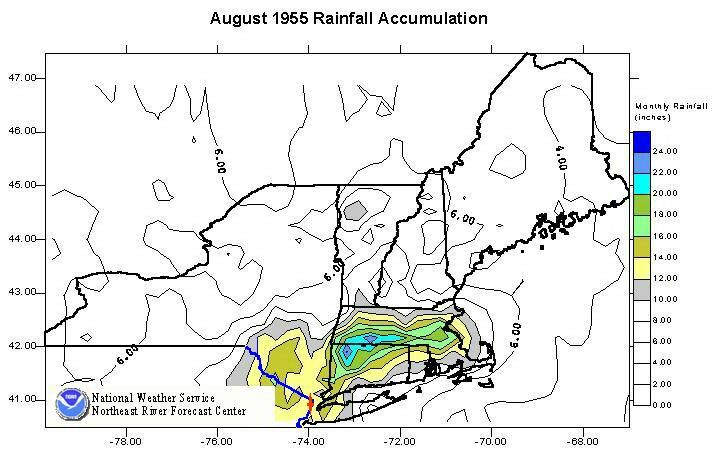 It goes right through a lot of the rainfall; hence the flood. Please use your browser's back tool to return to the previous page.